Bearded wheat in Thésée, Loir-et-Cher, in France. 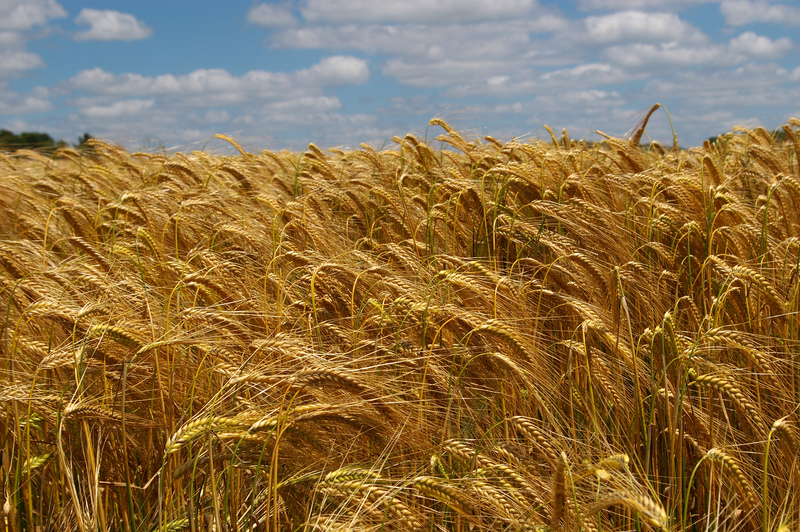 Wheat is one of a number of 'energy crops'. [Sybarite48/Fotopedia]. EU ambassadors have agreed to a 7% cap on biofuels made from food crops in transport fuel, in a move environmentalists say is a “timid step” in the right direction. The diplomats meeting Wednesday (28 May) to prepare EU ministerial councils, passed the proposal, which included the reporting of emissions from indirect land use change (ILUC) and a target for ‘advanced’ biofuels. The target for advanced biofuels, which include fuels from agricultural waste and residues, was set at 0.5% for transport fuel, however it is non-binding. Member states can also lower their target as long as they as they offer an explanation. This was the main change to the previous text proposed by the Lithuanian EU presidency, which member states rejected in December. The text does not include the accounting of ILUC emissions within EU clean fuel targets. “It’s a weak deal but it’s better than no deal,” Marc Herman Oliver, a biofuels analyst for Oxfam, told EURACTIV. It marked a “timid step in the right direction”, he said in a statement. A number of EU countries, including Belgium, Denmark, the Netherlands and Luxembourg, rejected the 7% target in December, arguing for a policy that was more ambitious in tackling climate change. Denmark had proposed a cap of 4%, EURACTIV understands. “The more advanced member states [on climate policy] have just lowered their expectation,” Herman Olivier said. The European Parliament previously proposed a 6% cap. Fuel made from crops, so-called ‘first generation’ biofuels, have been linked to deforestation, rising carbon emissions and land grabs in the developing world. A recent report by Vienna University of Economics and Business Administration showed that global footprint of EU demand for bioenergy equalled a landmass the size of Sweden. “Biofuels increase hunger, deforestation and climate change, so it is a relief to see EU diplomats finally agreeing to cap them,” said Robbie Blake, a biofuels policy campaigner for the NGO Friends of the Earth Europe, which commissioned the report. Both Oxfam and Friends of the Earth Europe have called for a phase out of the fuels. Rob Vierhout, the secretary-general of ethanol industry association ePure, welcomed the agreement, which he said broke the “deadlock” over biofuels policy. Energy ministers must now agree to the proposal before negotiations resume with the European Parliament. Pietro Caloprisco, a clean fuels analyst for Transport and Environment, said: "This is a weak deal that fail to address the issue at hand - emissions from indirect land-use change. But at least it is one small step in the right direction; better than nothing. Governments should rubberstamp it so that negotiations with the new Parliament can begin." The EU has a target of 10% renewable energy in transport fuel by the year 2020, contained within the renewable energy directive (RED). The fuel quality directive (FQD) requires a 6% reduction in the carbon footprint of transport fuels by the same year. Civil society has pushed for the accounting of indirect land-use change (ILUC) from biofuels in EU legislation, as evidence shows that crop-based fuels can have a larger net environmental impact than conventional fuels such as coal or oil. The EU demand for bioenergy has also been shown to cause land disputes in countries trying to meet that demand, such as Indonesia.